Dr. Aaron Schechter received his Bachelor of Science in Biochemistry from the University of California, Davis . He graduated from Veterinary School at UC Davis in 1999. 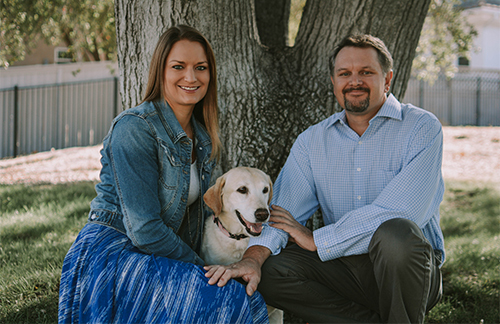 He joined the Atascadero Pet Hospital & Emergency Center in 2000 working alongside his father, Dr. Robert Schechter to expand our facility. In 2003, he augmented his role as a veterinarian by becoming a practice owner. His interests extend to orthopedic surgery and ophthalmology. 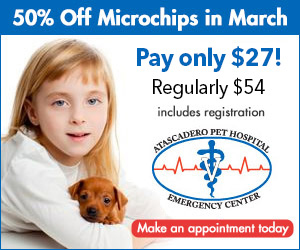 He is a certified PennHip veterinarian as well as a certified Slocum TPLO veterinarian. Dr. Schechter and his wife, Carrie enjoy driving their Jeep on 4×4 trails, snowboarding, winemaking and spending time with their two children, Isaac and Eva.